Estimating is a big concern of everyone that opens their own painting business. And that’s understandable. Get it too low, and you lose money on a job. Get it too high, and you lose a sale. For some, it can be tempting to use price as a bargaining chip with their customer, especially if price is the primary objection to signing the contract. However, we caution against using price as a sales tactic because it can obliterate your margins, or prevent you from properly scaling your operation. Instead, you should aim to improve your overall sales process to start winning more bids at a price fit for your company (for more on why you shouldn’t use price as a sales tactic, click here). Fortunately, we’ve put together this article & accompanying video to show exactly how to perform an estimate that will keep your margins high, while still remaining competitive with your pricing. In the video, we run through an actual example of setting up an estimate on location & walk viewers through the entire process. This article aims to provide a breakdown of costs & labor estimates in high detail, and acts as a supplement to the video linked below. We highly recommend reading this article and watching the video to fully prepare you & your team for setting up your next estimate. Before we get into the estimating process, however, it’s important to accept the fact that a new painting business probably won’t perform the perfect estimate the first time around. You may mess it up a few times, but as long as you’re learning from your mistakes, then you’re making good progress. Also, at the end of this article, we’ve provided links where you can download our exact estimating forms & standards so you can start delivering professional estimates fast. Whether this is your first estimate, or your thousandth, you have to be prepared to answer questions regarding your price. 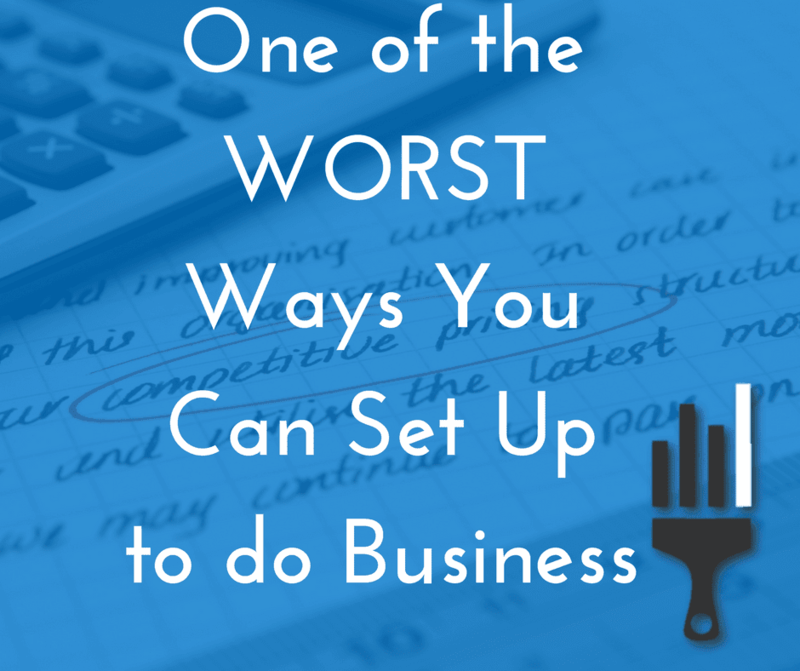 And you can be prepared by knowing how the numbers break down, and how your business allocates cost. First order of understanding your business costs is knowing how the price of paint varies for contractors vs. homeowners across a range of paint qualities (reference the table below). You can begin to see how price fluctuations can occur, strictly from the amount of gallons estimated. Underestimating the gallons needed can have a sizeable impact on your margins, especially if your customer requests higher end paint. This is where most new paint companies make their mistakes. Bidding a house involves many different factors, so it can take practice to get it just right. There is, however, a good rule of thumb to compare against when setting up your estimate. A talented paint crew of 2-3 painters can finish a 2,500 square foot home (with minimal prep requirements) in just under 2 days. Typically, that same crew will cost $800 per full work day. So, you could expect labor to be in the range of $800-$1600 for the entire job. If you’re arriving at different numbers, you may need to reexamine the estimate. There are also factors that can increase labor on a house by as much as triple. If you’re new to the estimating process, don’t feel afraid to bring along an experienced paint crew member. This can dramatically improve the estimate, and they can help field questions regarding labor cost. Remember, you’re not in the business of losing money. It can happen, however, if a bid is too low, or if a mark-up isn’t factored in. Mark-ups cover the cost of doing business, as well as helping maintain a strong reputation by delivering a quality service. In order to ensure that your company makes a profit off of each paint job, the final price of the job should have that factored in. Let’s suppose that your company is new, and your current business model factors in %40 profit. With a calculated job cost of $1365 for a small to medium sized house with a moderate amount of trim. Your total price would be around $2280, which would result in a total markup of $910. If you noticed, we also added in miscellaneous materials to our total cost break down. Miscellaneous materials covers a number of depreciable items that are necessary for paint jobs. Forgetting to account for these, repeatedly, means taking out of your overall profit margin. Which, in the early stages of your painting business, won’t amount to much. However, when your company begins doing high volume, it can really have an impact. 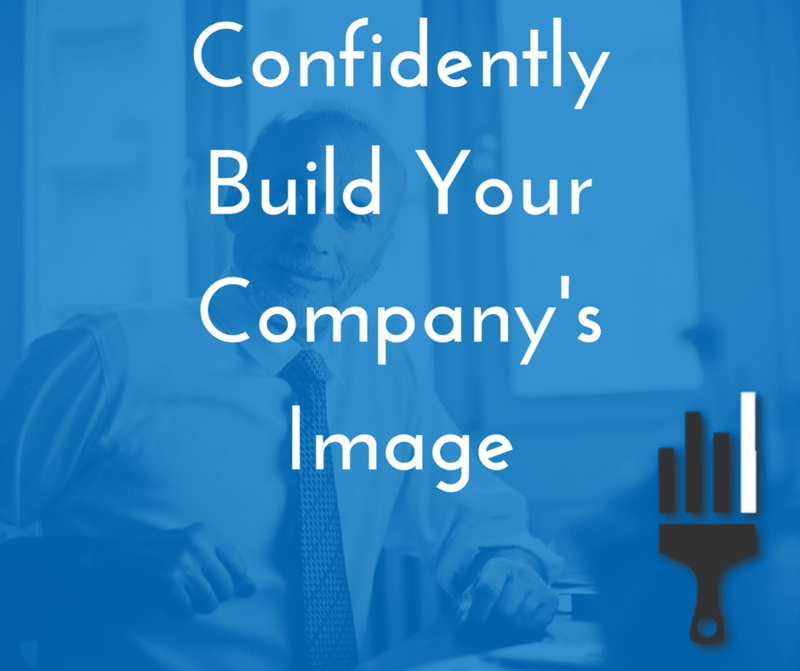 Furthermore, if you’re utilizing subcontractors, you can hurt their margins unintentionally. Keep in mind, these mark-ups also allow you to pay competitive wages to your subcontractors and employees. It’s good business to pay good money for good work. Keep your subs & employees happy, and they’ll help ensure your business grows. Our model allows paying subs (on average) 50% of the job price which provides plenty for their labor & materials cost, at the same time, protecting your margins. To fully understand how your markups and margins change as your company grows, you should check out our course which has exact breakdowns that coincide with your business growth phase. Now that you have a general understanding of how price breaks down when setting up an estimate. Be sure to follow this link to download our estimating form & standards. 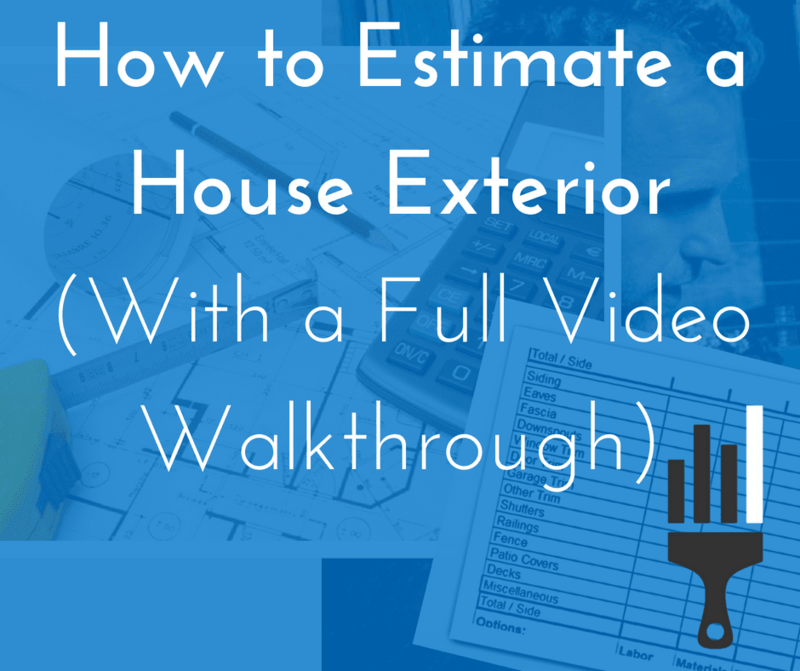 Once you’ve done that, follow the link below to view the full video that walks you through the estimating process of a house exterior. After watching the video, the final step is to get out there and give it a shot. Remember, you’re going to make mistakes periodically. The point is to learn from those mistakes, and not to make them again. It’s better to error on the side of caution & overbid a job than to underbid a job. Your time is valuable, and the worst thing you could do is set your crews up to work for less than what they’re worth.